For a few years, I had the opportunity to teach just reading and writing. really concentrate on what I was doing and not trying to plan it all. and assessing students on reading levels was not fun either. at teaching both reading and writing. Then…two years ago I moved to third grade and the entire story changed. I was now required to teach ALL subjects (honestly I did not know what I was getting into and boy…I sweat it!). It was not only at a new grade level, but on top of that I was now responsible for science and mathematics. In a way, teaching reading and writing using the workshop method really helps you differentiate – it is build that way (differentiated as each child reads at their independent level). Now, when it came to math I knew I had to do something. The typical lesson of “Open your book to page 5, read and then solve problems 1-20” was not cutting it. I was getting frustrated and my students felt the same way. Teaching math in this ‘traditional’ form was boring. The worst part? 1/3 of my students got it, 1/3 was lost, and the other 1/3 was bored to tears because they could do what I was ‘trying’ to teach without my help. I spent hours. Ok, let me rephrase it: COUNTLESS hours doing research. I knew that there had to be a different method for teaching math. I came across tons of sites and after buying some books, reading some more, and doing more research I decided to change the entire way I was trying to ‘teach’ math. I tried using the math workshop method. One day I just moved things around, armed myself with courage (which you need TONS of) and off I went. Two years later, I have not looked back (maybe a few times….and every time I have even tried to go back the old ways it ended up backfiring). So, how do I teach math? First, it is ALL IN SPANISH (oh my! I have had to study the terminology and vocabulary in detail). The lessons in math follow the same format as that of a mini lesson in reading or writing (12-14 minutes). Then, students practice the new skills with a partner (on the rug) and slowly I dismiss students to either work independently or to join a math station. I meet with 4 groups throughout the math period – about 10-12 minutes with each group. While I meet with small groups, my students are either working independently, practicing math using different math games, or using technology (Jiji and Xtramath). Thank you donorschoose.org for helping me put more technology into my students’ hands. Each child has a math partner (and this is HUGE and crucial to the success of the math workshop). Each partnership is trained to work together and to really help each other – NOT just tell/or give answers. We practice this a lot at the beginning stages of the workshop method. Why partners? Because I need to be able to meet with everyone and help as many students as I can. I cannot just have children rely on my. They need to learn that their classmates are ‘teachers’ too (in a way). Small grouping really gives me the ability to differentiate and challenge those who are ready for the next step and help those who need addiditonal support. All in all….math workshop is how I do it. It was terrifying at first, but it all has been WORTH it. And as always, I am curious to know how you teach math. 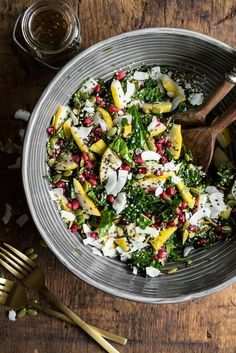 What is your style and what works for you? You question about grammar is a really good one (and trust me and I am still trying to figure out some things). For both reading and writing, I (and my school) use the workshop model (same as math). 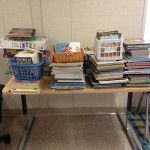 Here, each student reads at his/her own reading level which works great at differentiating (and since you are teaching 4 kiddos I am thinking that this may be similar to what you are already doing). Usually, and talking grammar, when I introduce or teach a concept it is usually weaved into what we are already doing. For example, if I really want my students to master quotation marks, I make the point to mention them and talk about them during reading (especially read aloud time). 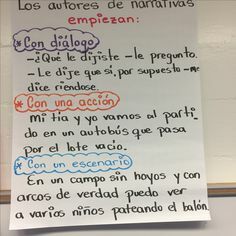 Then in writing, I select a piece of writing and talk about the quotation marks in more detail (my students practice quite a bit), what I USUALLY do is compare and contrast how things are done in English and Spanish (in Spanish we use – not "). 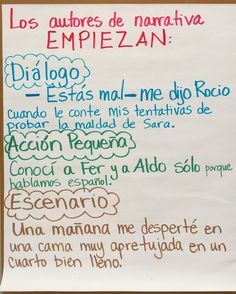 So having students see BOTH sides really helps them differentiate (the same applies for example to days of the week and months of the year/must be capitalized in English but lower case in Spanish). I try to teach grammar using what we are already doing. With my few years as a teacher I have discovered that children can put periods, commas, etc in the right place using worksheets, but very few use them correctly in their own writing (I want them to apply what they learn..not just robots filling the blanks). In summary, I choose 3-4 maybe 5 marks to study IN DETAIL and really master them….master them in and out. Showing the similarities and differences in both languages REALLY helps. In regards to time….I do not have specifically 15-30 minutes dedicated to grammar. I would teach, and then meet and work with students in small groups to help them assimilate the concept. In fourth grade, we teach 60% in Spanish and 40% in English. Wow….this was a rather long reply and HOPE to have answered at least part of your question. Please let me know if this make sense!!! Wow, I'm impressed by this what you do. I mean, I know it that math is mostly not one of the favorites subjects but it seems like you make these lessons much more interesting. Children like that for sure participate in classes with more pleasure. Being in small groups is also great idea. Thank you Kate…..thank you for the very kind words.